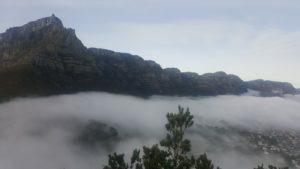 There is a city under the cloud! 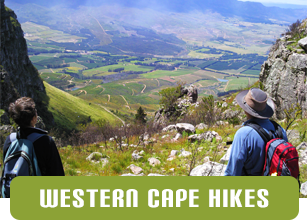 Winters can offer some of the most beautiful hiking in the Cape. 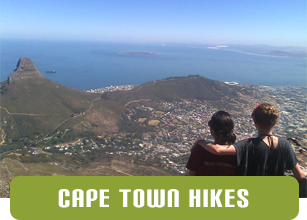 We get wonderfully clear, windless days that are a wonderful temperature for hiking. We also are sometimes given the most amazing sight as a cold front approaches the city. 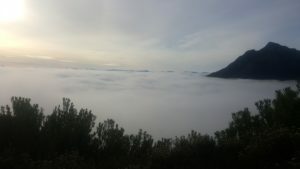 This is in the form of a thick bank of cloud that hangs in the city bowl and around Camps Bay. Once above the cloud however you can be in the blazing sunshine. 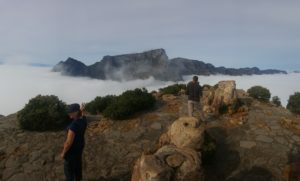 Yesterday I climbed up Lions Head. At the start of the trail you could hardly see more than a couple of meters and we wondered if we would get any views at all. However 5 minutes into the climb we were well rewarded for our efforts. Under there is the city bowl!